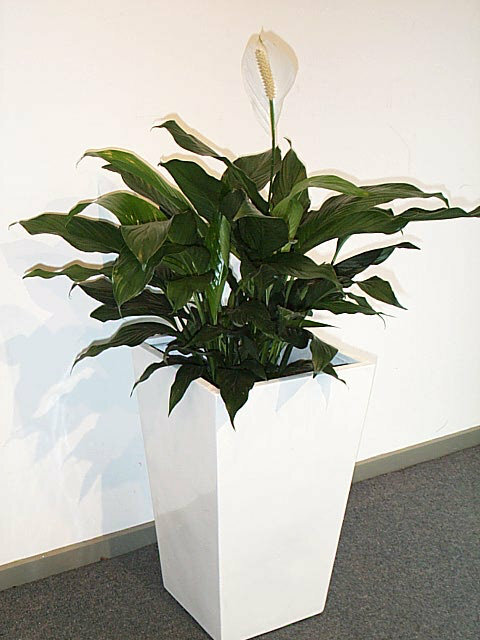 delivery and collection fee for exhibitions. 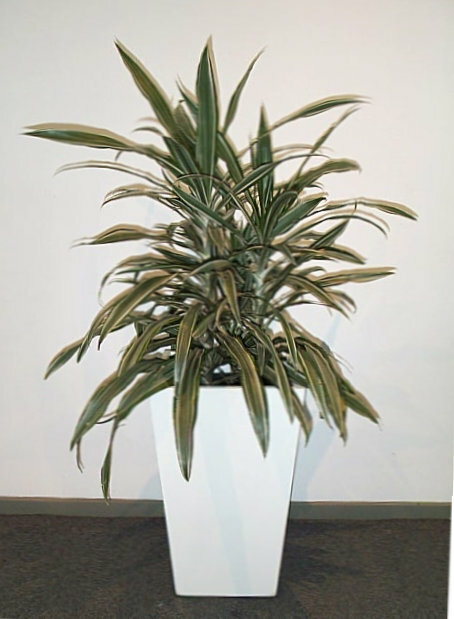 The Melbourne Exhibition and Convention Centre's delivery and collection policy for contractors has severely impacted on our efficiency to provide a cost effective service to exhibitors. 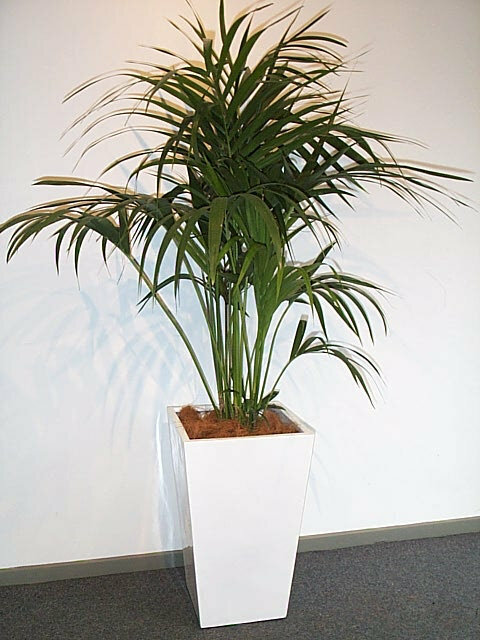 Please contact our office for a quote on our delivery and collection service. 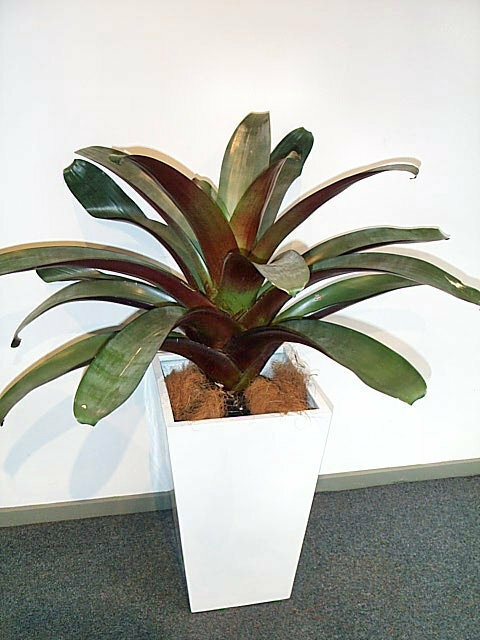 For Exhibitors at the Melbourne Exhibition Centre Please Click here to download a PDF brochure and order form. 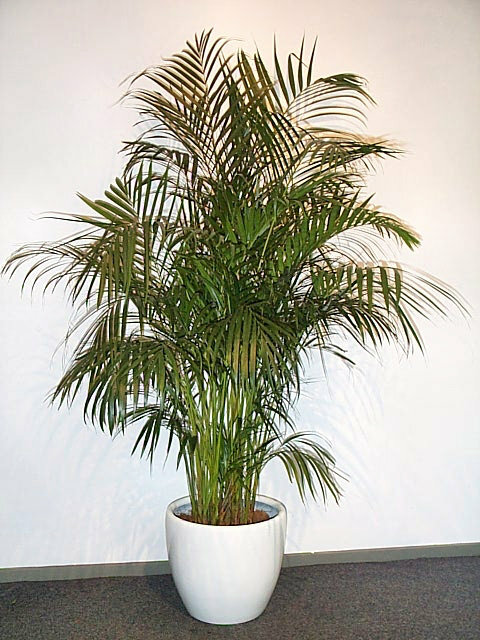 Please note that other rates and delivery charges apply for Melbourne Convention Centre or other locations. 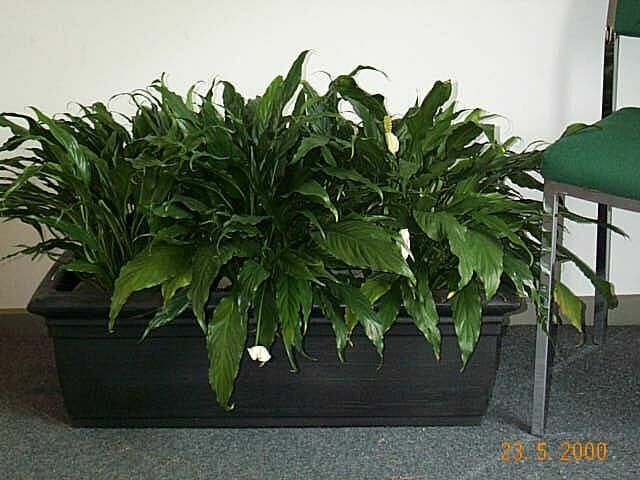 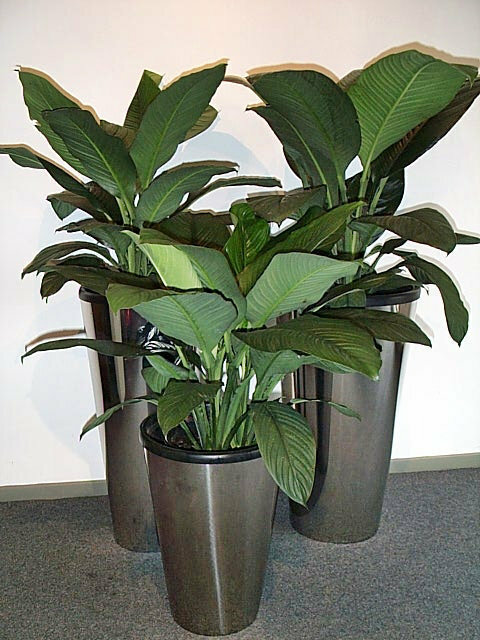 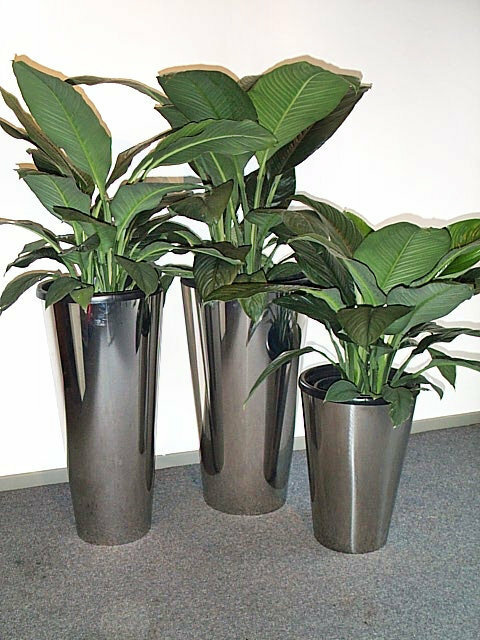 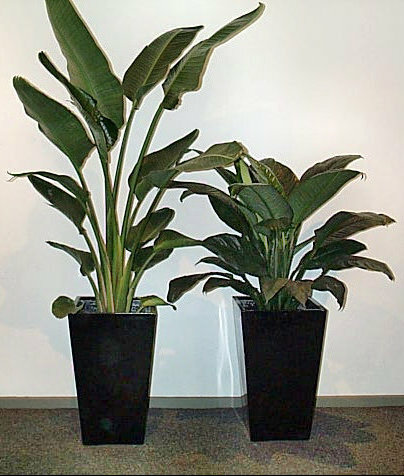 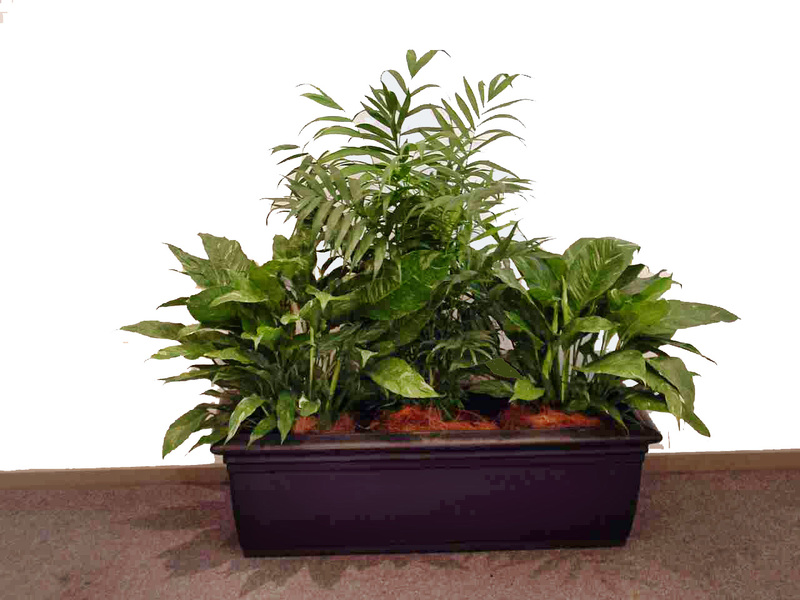 Spathiphyllum sensation in one three stainless steel cones from 400mmH x 300mmD ,750mmH x 300mmD or 750mmH x 400mmD. 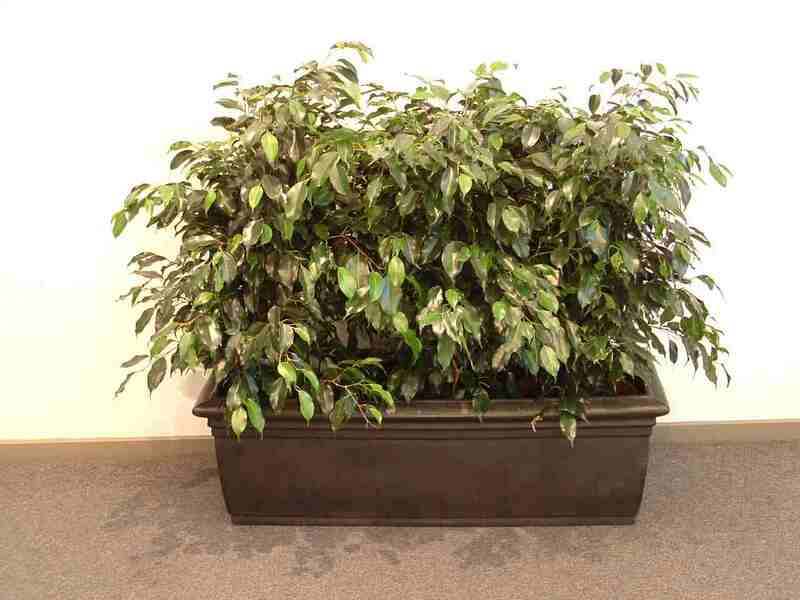 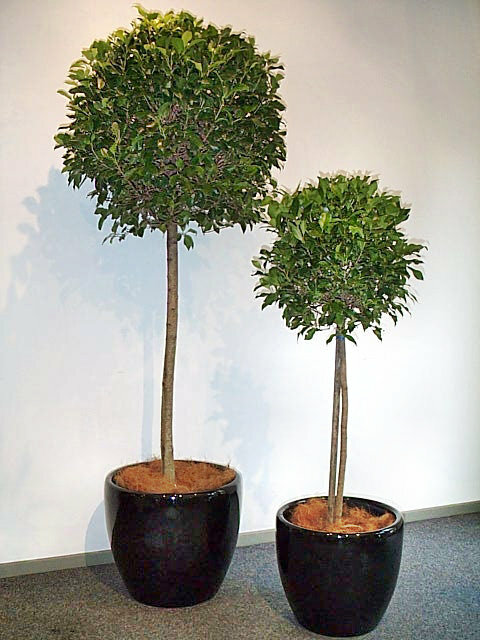 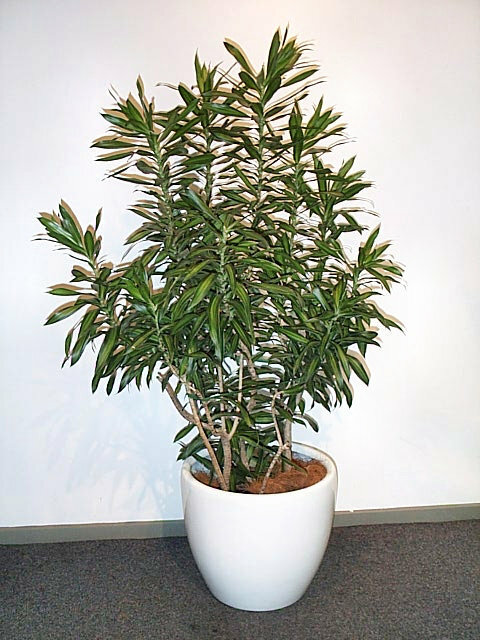 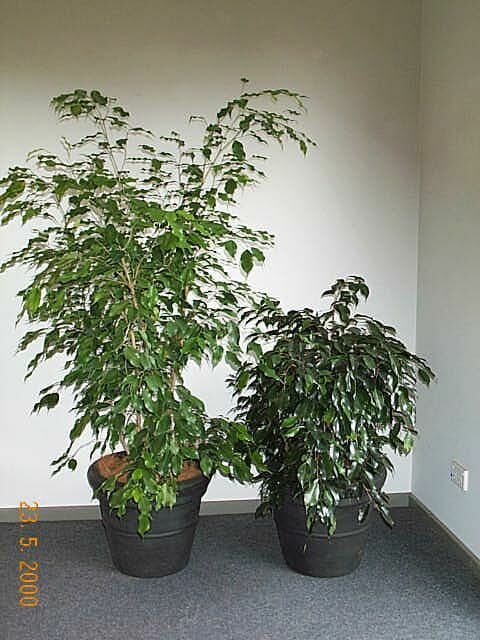 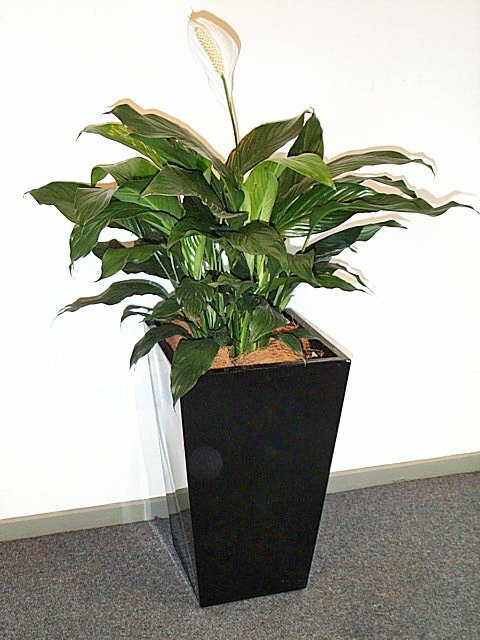 Large Ficus Topiary in a black gloss egg pot 1.8-2m or a Smaller Ficus Topiary in a black or white gloss egg pot 1.2-1.4m tall. 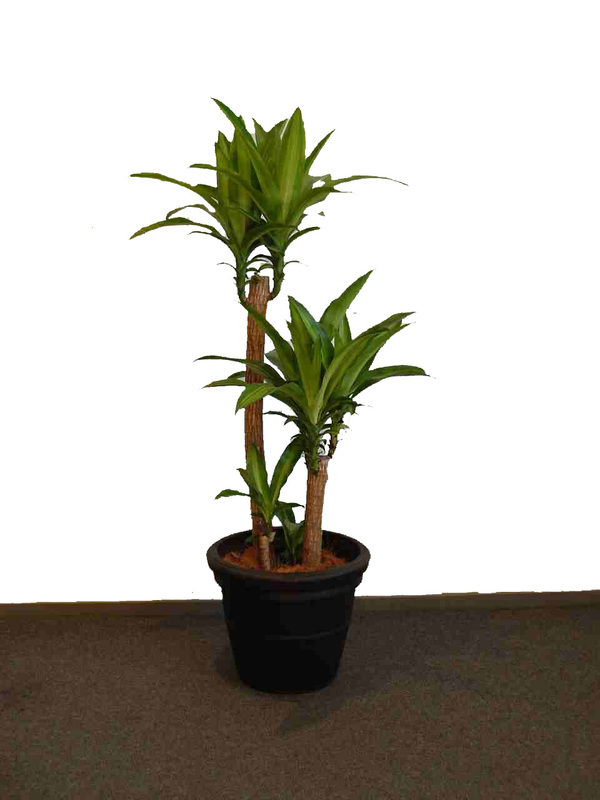 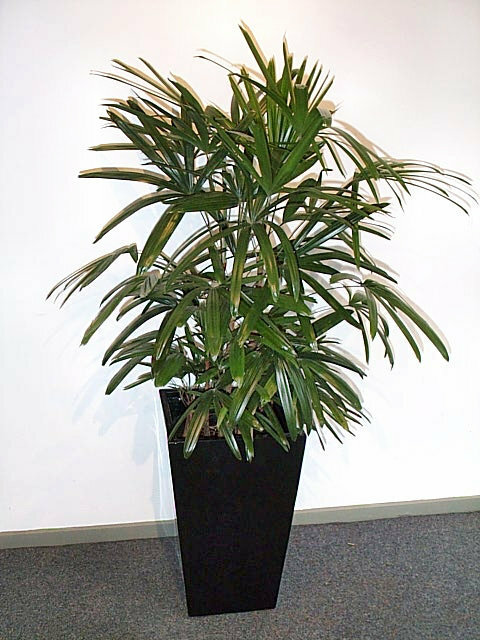 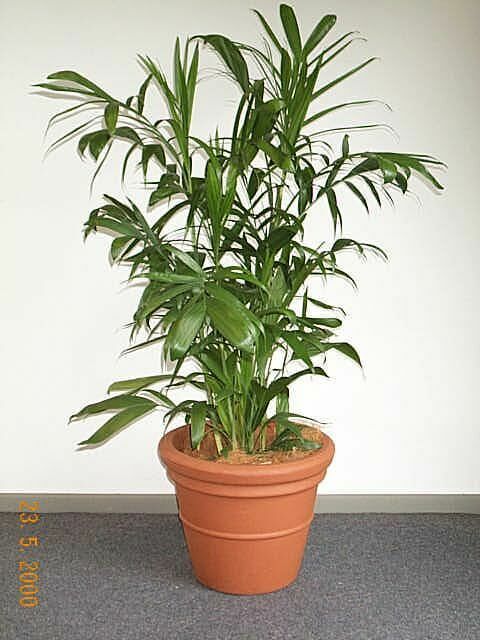 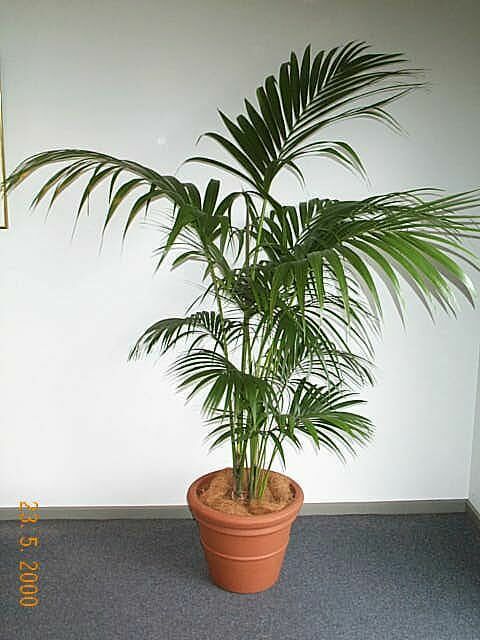 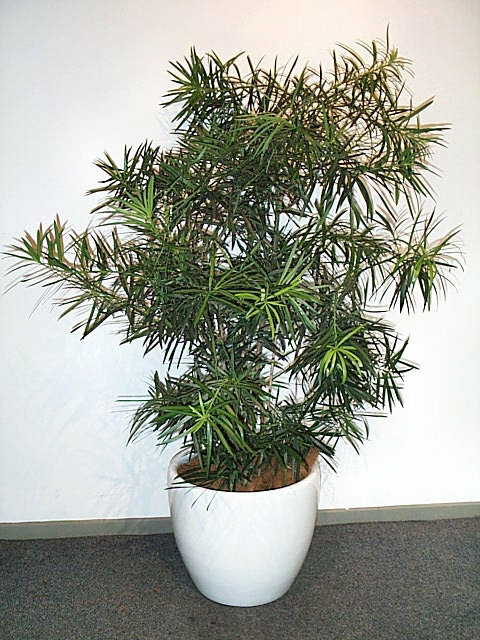 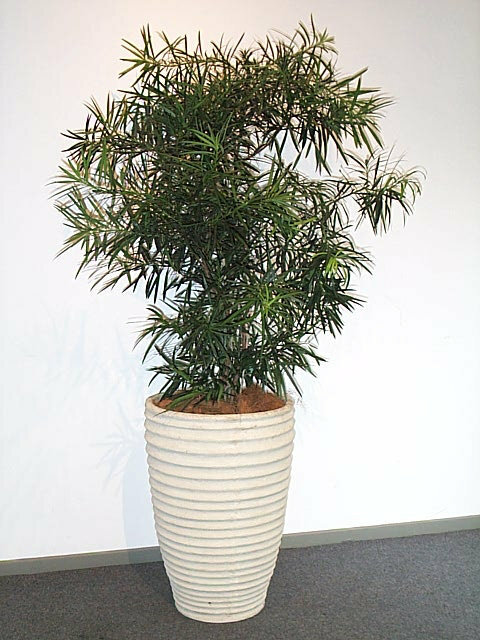 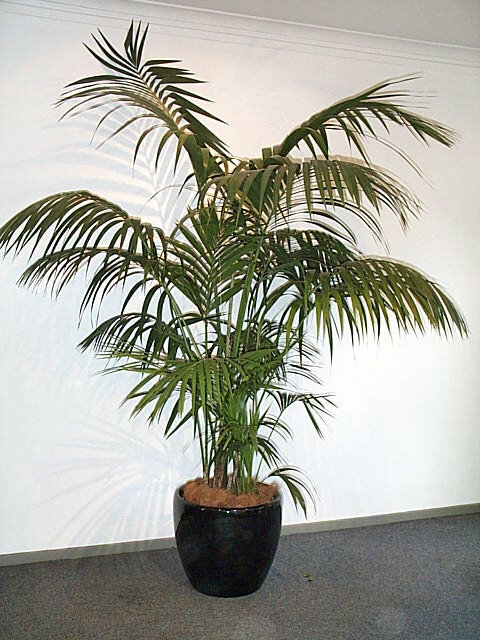 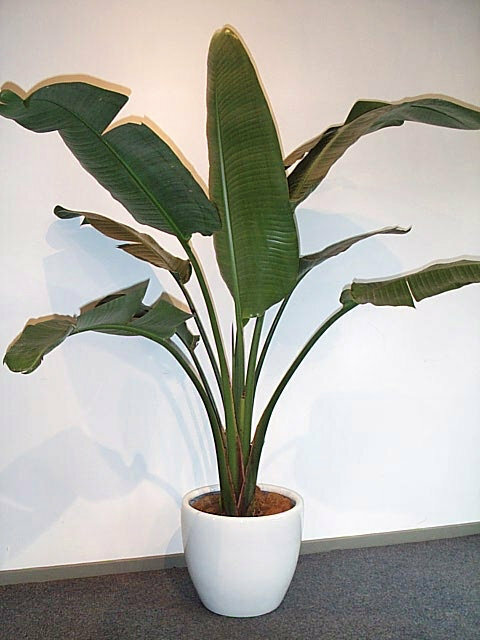 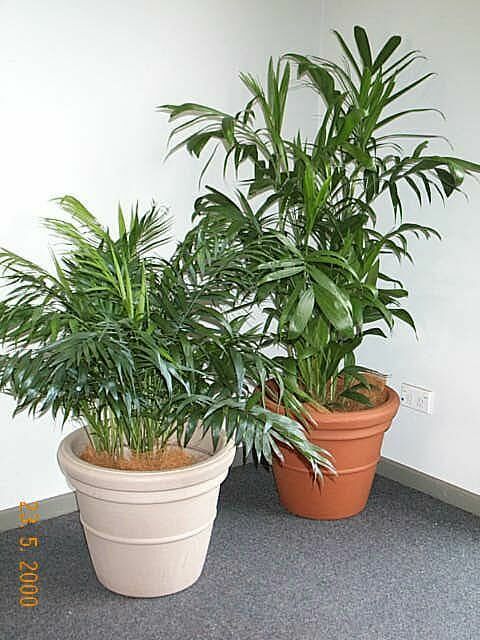 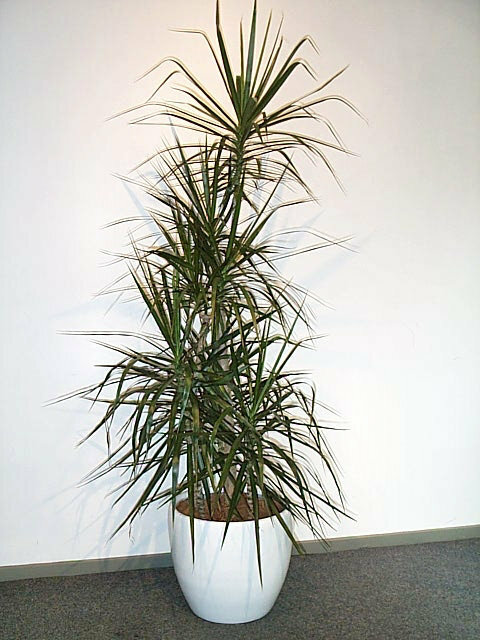 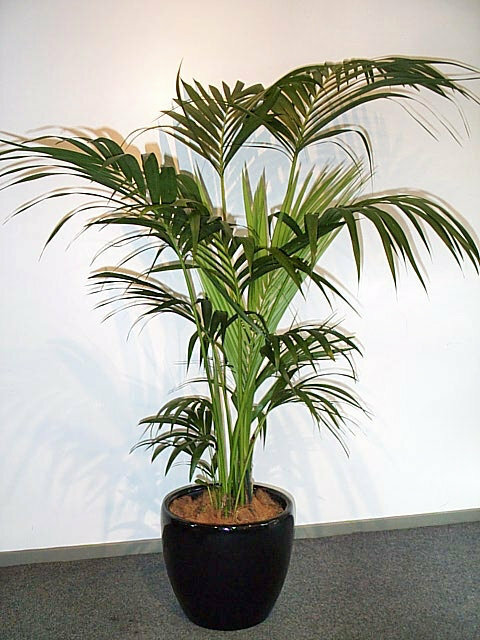 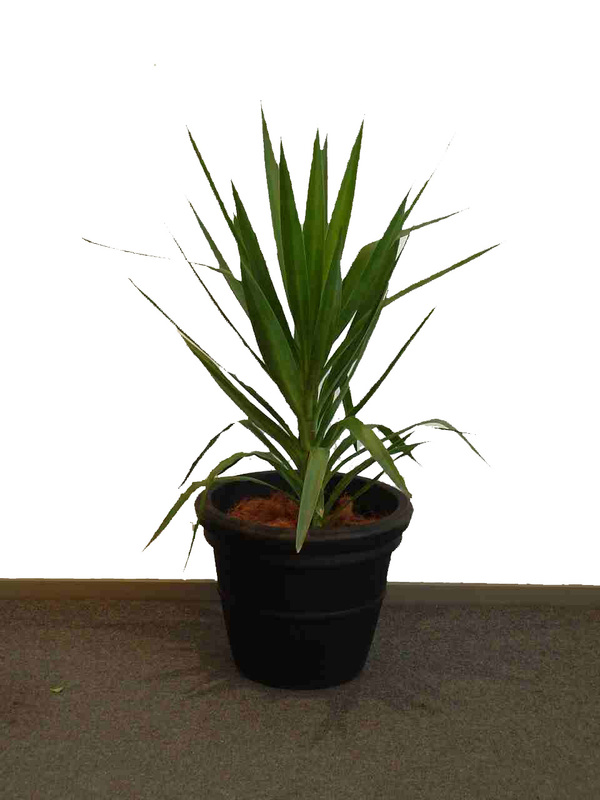 Chamaedorea seifritzi (Bamboo Palm) in a matt black, terra cotta or sandstone coloured container 1.6-1.8m tall. 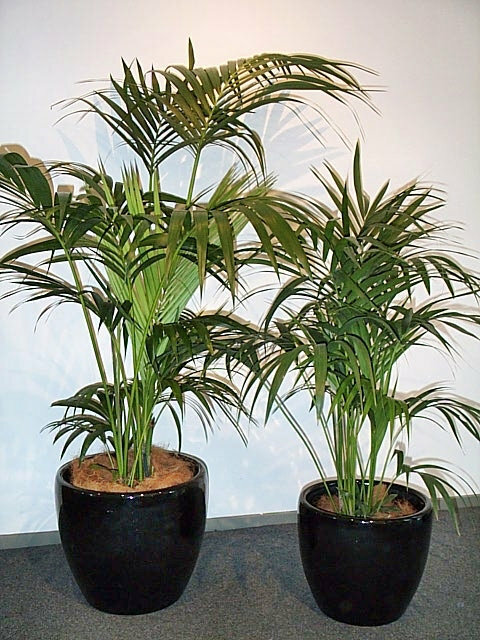 Click here to download a PDF brochure for exhibitors with prices and order form.